For something different dive in Norway. The dive sites are quiet, there are many wrecks and some beautiful scenery. 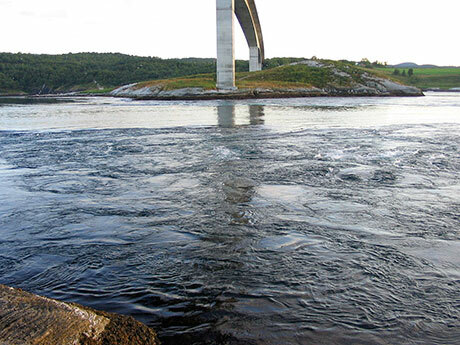 There are also the extreme dives of Saltströmmen and Sundstrømmen - experience the strongest tidal current in the world. There is some shore diving but the best dive sites are reached by boat. Including her islands, Norway has a massive coastline of 58,133 km. The water never gets very warm: it ranges from an average of 15 °C in August in the south down to 5 °C in March. You will need a drysuit. In summer the sun never sets. 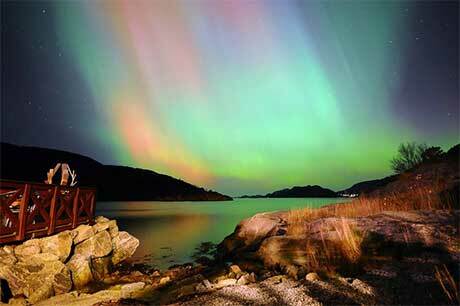 In winter you might see the Northern Lights. Dive with leopard seals, penguins and maybe even whales. 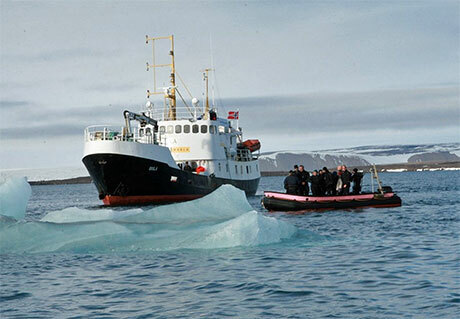 The M/S Sula is an old fishing boat which now specialises in liveaboard trips for divers. There are six crew members and a maximum of twelve guests. "We welcome you to one of Norway's best diving resorts. Welcome to Norway at its best!" "It is the strongest tidal current in the world. Up to 400 million m3 (tonnes) of seawater forces its way through a 3 km long and 150 m wide strait every six hours, with water speeds reaching 22 knots (about 40 km/h)"
"The worlds fiercest maelstrom. Best adrenalin kick ever. But beware - with the tide this is only for people with experience! Between the tide it's still a thrill. Diving in cold waters Norway, Iceland, etc is underated since fewer people do this - but it is extremely rewarding. " "One of The worlds top ten National Geographic say, and I for one believe them. In terms of nature and extreme diving this is the place. " "More extreme (than Saltströmmen), and in some parts more spectacular, in the terms of fauna and animal life "
Four hours drive north of Saltströmmen. There are over 30 wrecks here, sunk during the second world war. "Wreck heaven. Plenty from second world war. " During summer whales visit the Lofoten Isles, which are above the arctic circle. Detailed notes and drawings of each organism. The definitive identification guide to most of the animals you will see. Great photos in this guide book. Includes practical information to help you to get around. Please send us your comments on Norway. Do you want to recommend a diving centre or dive site? Let us know. If you own a dive centre get yourself added.